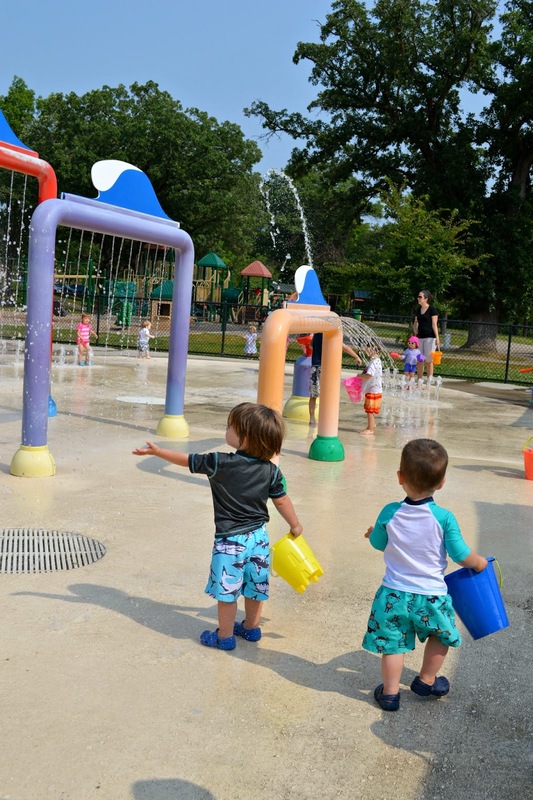 We loved playing at this splash pad with friends last year, and finally made it back with one of Skyler's little buddies this morning. 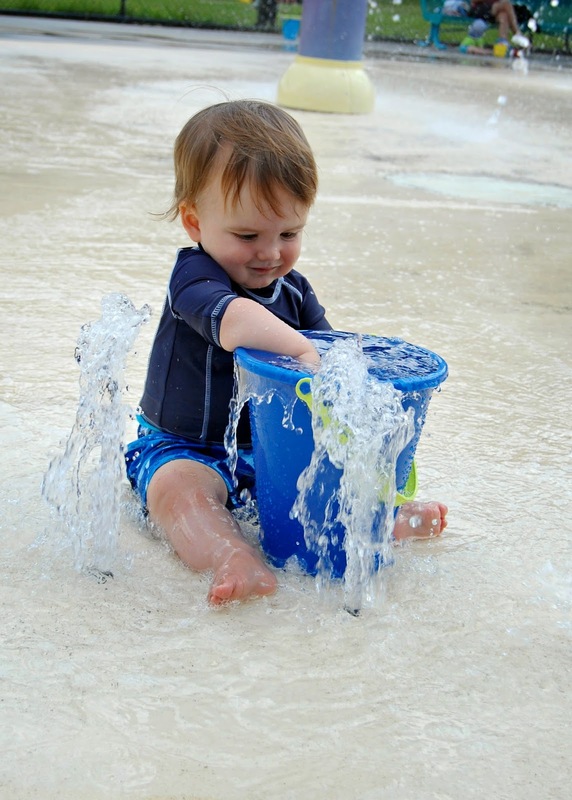 Last summer Skyler wasn't walking yet, and spent his time at the small bubbling water features, splashing around with a bucket he filled up. Not interested in playing at the bigger fountains, but watching everything going on around him. 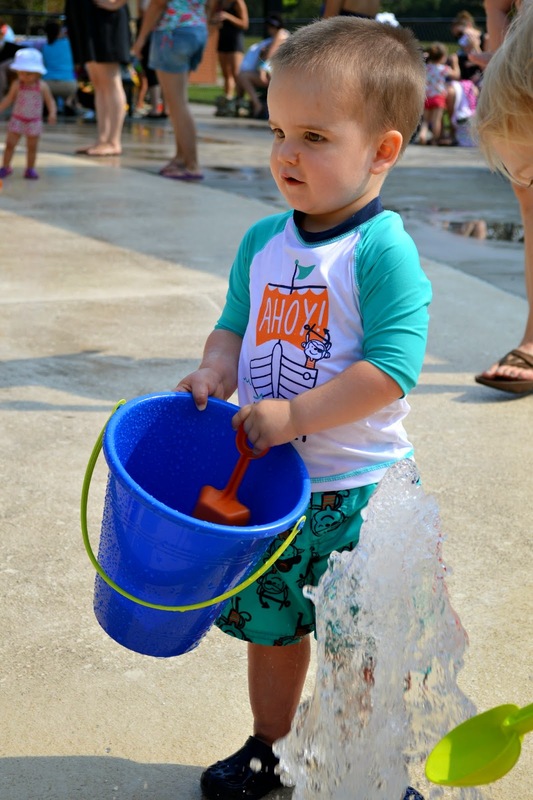 Skyler would sit and fill, dump, fill and splash in his bucket the entire time we spent at the splash pad, and he would be completely content just hanging out the hour plus that we would stay! 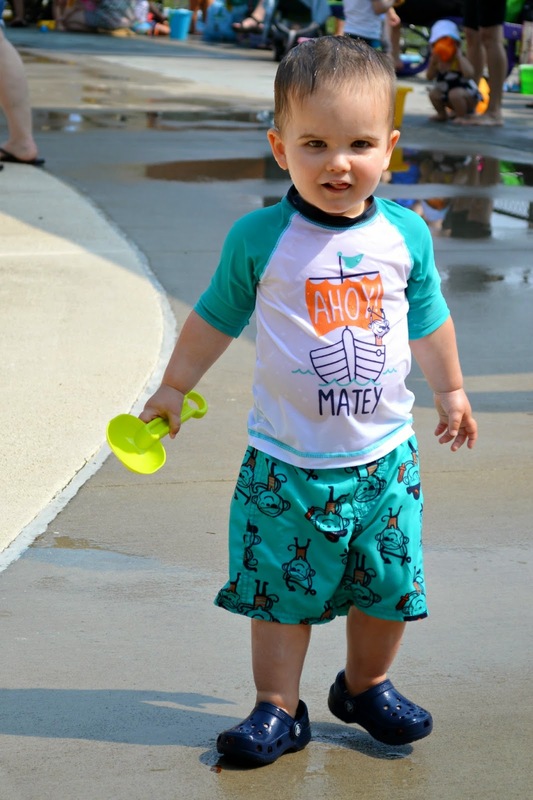 I was excited to see how this summer would differ from one-year-old to two-year-old, especially now that he is on the move. 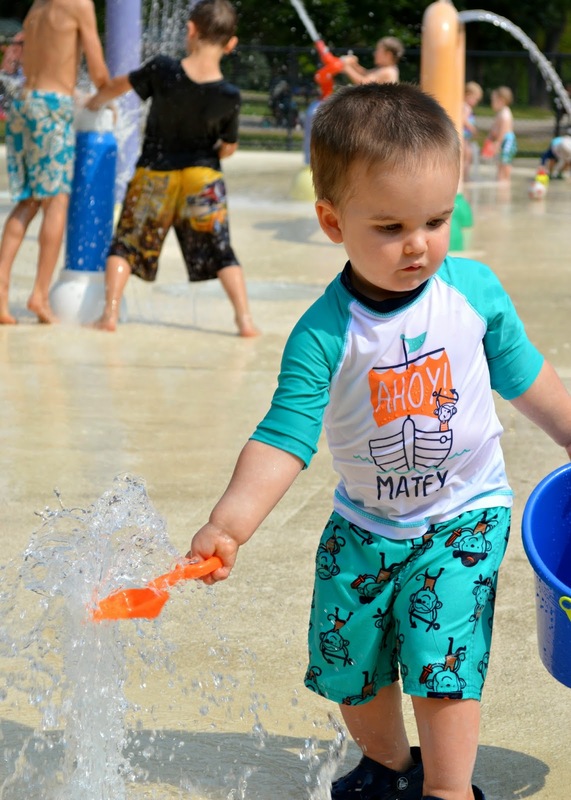 I was fully prepared to chase my little dude around, but also brought his buckets and shovels along, knowing that he might not be ready to run through all the spraying water features, and remembering how he enjoyed having is last year. 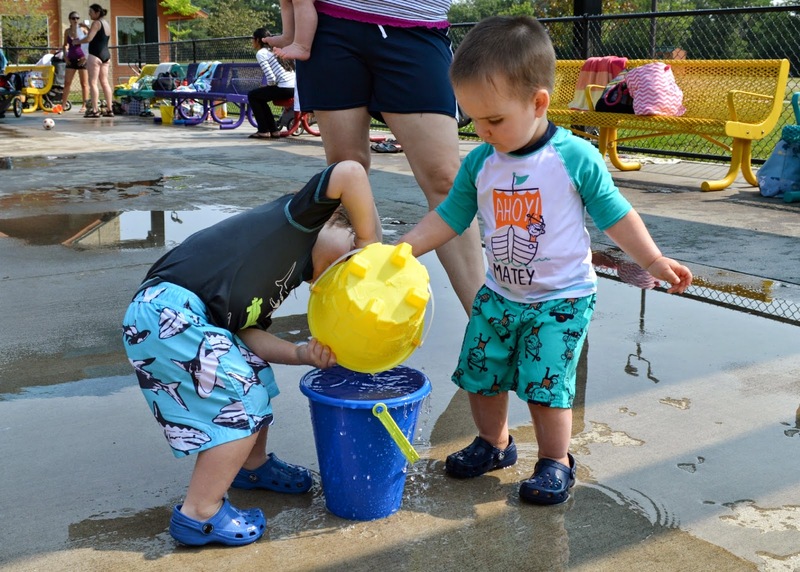 Skyler started following his buddy, happily carrying his blue bucket, and stopped on the side when his friend started playing in the water. It took my quiet observer several minutes before he was ready to play in the water. 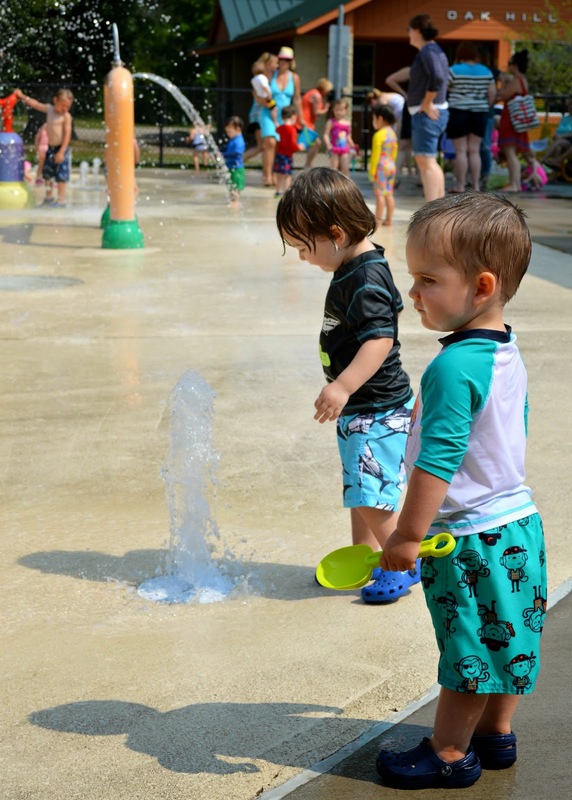 He left the bigger fountains, and walked to the small bubbling spouts that he enjoyed last summer. I was somewhat surprised how little he wanted to touch the water. He would stand away from the spray and try to fill his shovel to dump into the bucket. Sweet boy was happiest standing with the mamas in the shade. 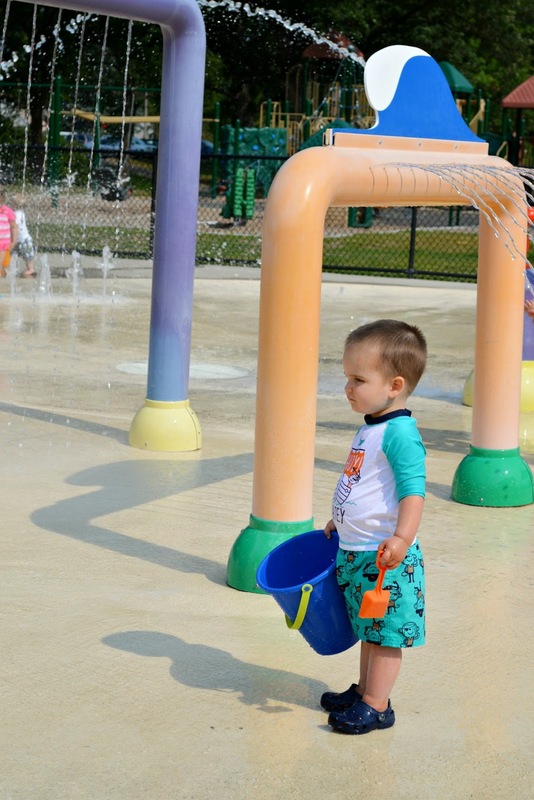 He just stood with us for a long time, and when asked if he wanted to go play in the water he quietly said "no." 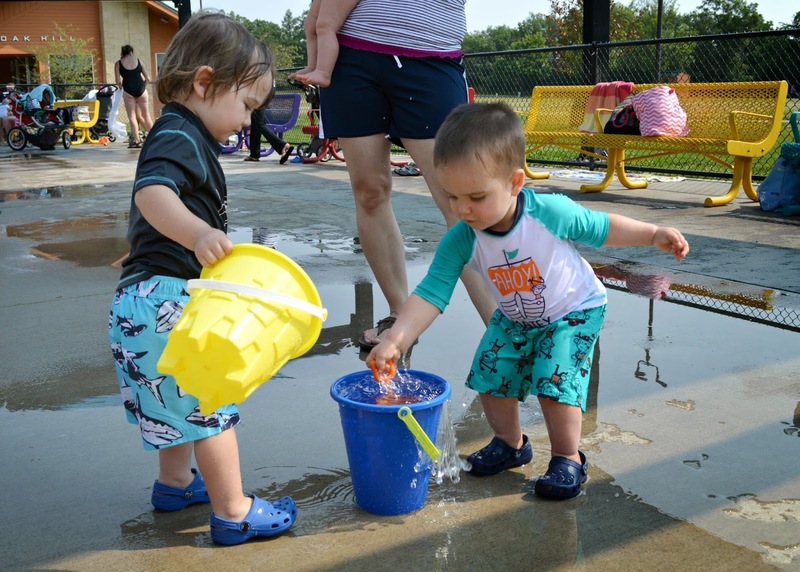 His buddy was so sweet, filling his bucket up and then dumping it into Skyler's bucket. 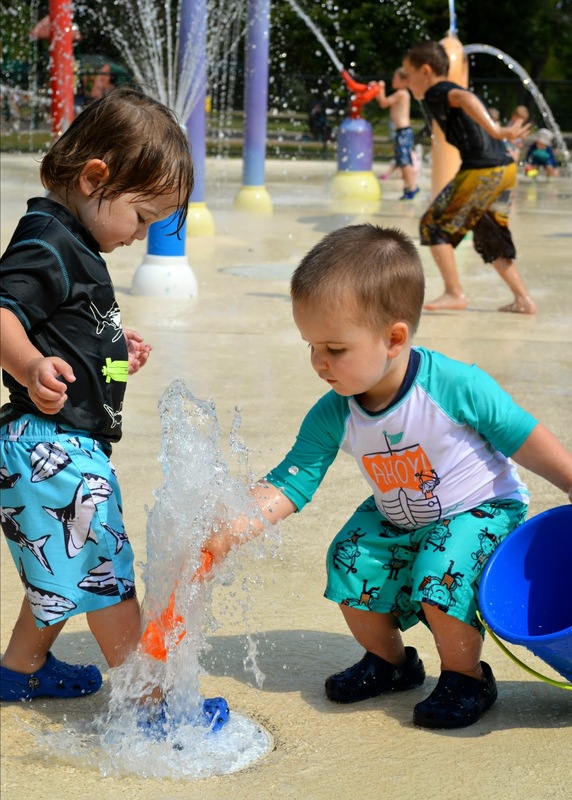 Skyler loved it and splashed with the water, and then his little friend would bring more for him. It was adorable. Eventually, he went back out to the small fountains, and actually got pretty wet in the end. These two are so sweet and absolutely love playing together. It was perfect in this very exciting and closed off park how close they would play next to each other, so I got to talk to my beautiful mama friend and stare at her sweet babe the entire time. Score! 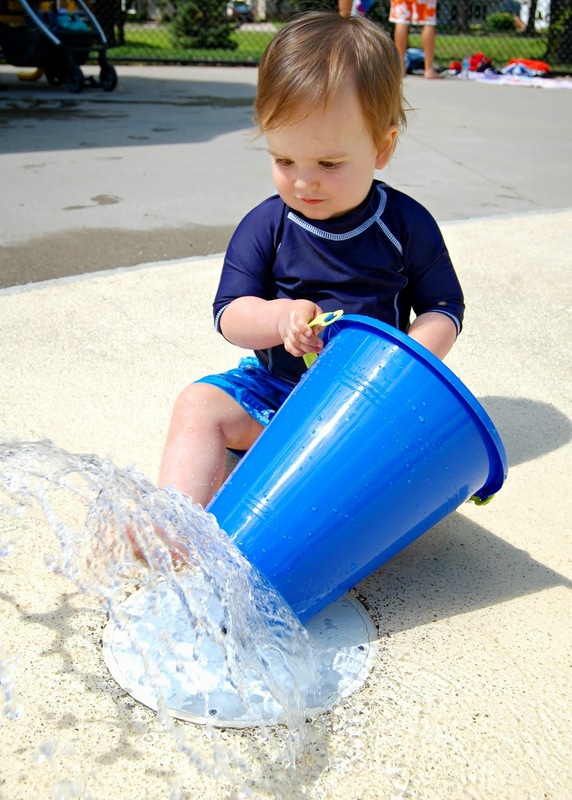 When I would ask Skyler if he was having fun playing in the water, he would enthusiastically say "Yep!" 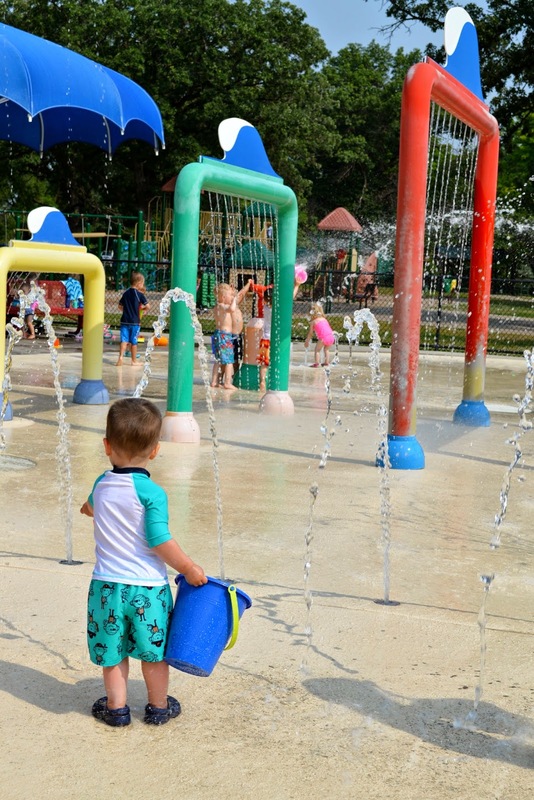 Even when he is just standing to the side and watching kids play, watching the water shoot up around him, and just observing everything in general, he has such a good time. This mellow little observer of mine is such a joy. That serious concentration face of Skyler's stuck around most of the time, but when he would get wet I always got a big smile! In the end, his play wasn't much different than last summer, but I think it was great that he was able to walk around to where he wanted to be, even if that meant he was standing on the side and not actually getting wet. It is interesting having a sensitive observer and realizing that he may not want to just jump in and play in every situation. I like being able to take these moments to really understand what Skyler is comfortable doing and watch him have fun in his own way. We are excited to go back as much as possible before the amazing Minnesota summer ends!